Trevor Thomas is a Partner at Cross Culture Ventures. Before this he was Vice President at Gastronome Ventures. Earlier, he was a member of the investing team at Roll Global, a $3.2 billion diversified holding company and Family Office in Los Angeles. Before venture investing, Trevor was the Founder and CEO of The Third Space, an airport lounge startup that sought to reinvigorate the airport travel experience through art, entertainment, and local food options. Trevor began his career in management consulting at Accenture where he worked on supply chain strategy projects for clients such as Microsoft, Best Buy, Syngenta, and Centerbridge Partners. 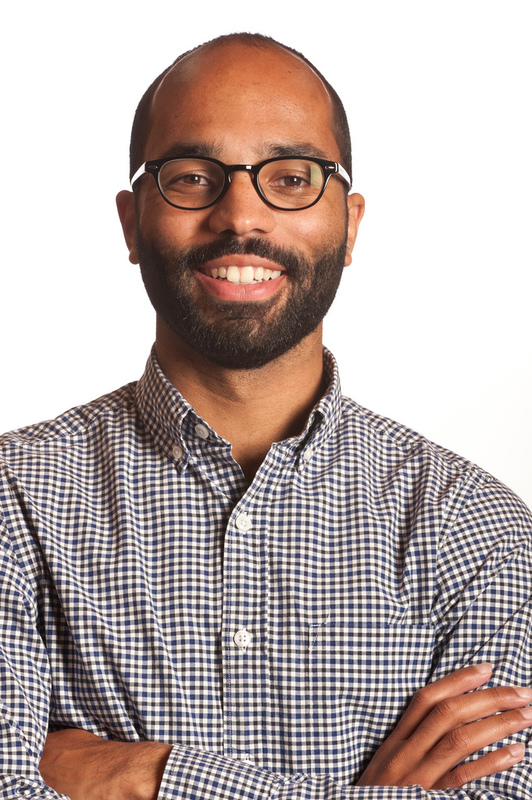 Trevor has an MBA from the Darden School of Business at the University of Virginia, a MEng in logistics from MIT, and a BS in industrial engineering from Morgan State University. He is also a Kauffman Fellow (Class 17). We think that a company’s ability to understand and access mainstream cultural trends is as significant a driver of start-up success as the technology undergirding new products. Global culture is converging, largely driven by diverse cultures in the US. In turn, the US’s demographic make-up is rapidly becoming more diverse adding a level of complexity and opportunity we have never seen before. Cross Culture Ventures is an early stage venture fund that invests in culturally driven technology and consumer products companies. We support our portfolio companies with an agency model platform of support through our partner Atom Factory—where we provide unique services in branding, marketing, PR, access to influencers, business development and supply chain services—all with an eye of allowing companies to achieve mainstream cultural access. What type of investments does Cross Culture make? What typical things do you look for in a company? We typically invest between $250K and $1M in early stage (seed or series A) companies. We like to follow on with companies that perform for multiple rounds of investment. We look for scrappy entrepreneurs targeting huge markets with products with unique cultural alignment. We think the next great companies will have an ability to authentically speak to the most powerful cultural trends. Cross Culture is a team of high-profile black investors. Marlon Nichols, Troy Carter, and yourself. How did you guys come to work together and why? Generally, we’re three guys that really like each other and had been independently investing along similar for years. Marlon and I knew each other from when we were both applying to business school (I went to Darden, he went to Cornell), and then reconnected when we were both in venture after bschool and became Kauffman Fellow’s around the same time. I was working for a large Family Office in Santa Monica, and he was working for Intel Capital. We started kicking around ideas of what a fund could look like. Then a mutual friend, Freada Kapor Klein, introduced us to Troy and it was like love at first sight. Troy had been angel investing for about 5 years and was contemplating ways to expand his investing activity. We immediately started hanging out a lot, expanding the idea of the fund, honing it, and ultimately launched it about 4 months later. In a recent online article with HuffPost, Troy Carter mentioned that 80% of Cross Culture investments were in black-founded companies. This is in contrast to the common belief that qualified black-led companies are hard to find. Any tips for other investors who have a difficult time finding black-founded companies for their portfolio? 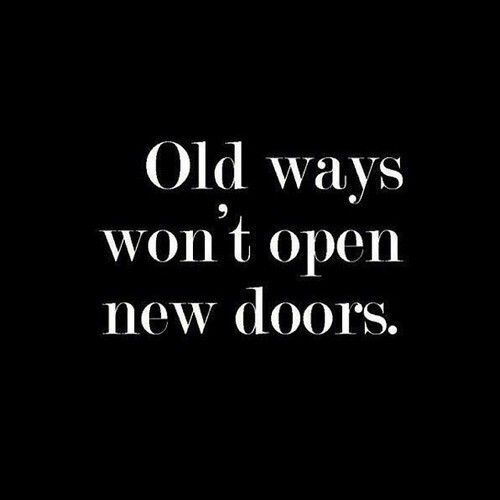 This definitely contrasts with the status quo. Our backgrounds and experiences have gifted us with differentiated biases and experiences of “pattern recognition.” However, to be fair, in each deal we’ve done, we have invested along-side strong syndicates of other top tier venture funds, so we aren’t the only folks seeing value in the founders we have backed. We also aren’t on a mission to only invest in founders from certain backgrounds. So far, this is just where we’ve seen the most value. I think other investors will need to reevaluate their biases on what creates value in founding teams to maintain past levels of success. Start something up. Come out to Silicon Valley, LA, or New York. This is the best time ever to start a company. Looks us up. We will do whatever we can to support you. The Blackstone Charitable Foundation has awarded Black Founders a $100,000 grant to support hackathons at historically black colleges and universities as a pipeline to tech careers and entrepreneurship. The Blackstone Charitable Foundation has awarded Black Founders a $100,000 grant through its third annual Innovation Grants Program, a program which targets non-profit organizations that strengthen entrepreneurial ecosystems and support high growth entrepreneurs. The grant funds HBCUHacks, a program that uses hackathons at historically black colleges and universities to develop a pipeline of minority tech talent. Historically black colleges and universities graduate approximately 20% of all black students with computer science degrees every year, but diversity reports from the top tech companies continue to find that less than 5% of their workforce is black and black entrepreneurs who seek venture capital investment remain underfunded. Black Founders’ HBCUHacks program visits black college campuses over a weekend and gives students the opportunity to use their coding, design, and business skills to build software and mobile apps. These hackathons introduce minority students to the building blocks of tech entrepreneurship while helping students begin their tech careers through direct connections to leading tech companies. HBCUHacks was piloted with hackathons at Howard University, Morgan State University, and the Atlanta University Center Consortium (Clark-Atlanta University, Morehouse University, and Spelman College). 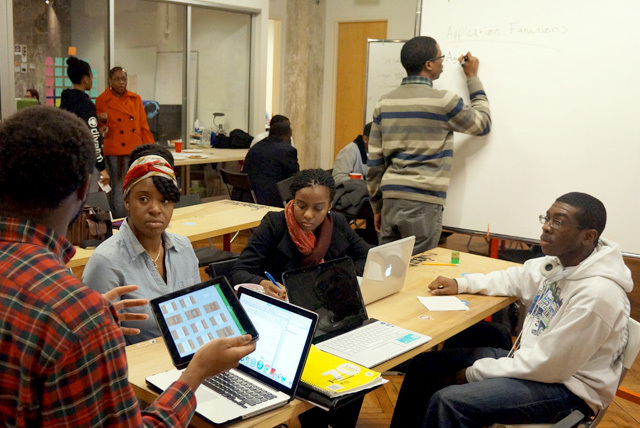 Black Founders will announce new hackathons at additional campuses throughout 2015. The Blackstone Innovations Grants are given in coordination with the Blackstone Charitable Foundation’s efforts to spur entrepreneurship around the world. Through the Blackstone Innovation Grant program, the Foundation provides resources to twenty innovative organizations that directly support entrepreneurs as they pilot, expand or replicate programs that will catalyze the growth of successful businesses, industries and communities. Black Founders is (a 501(c)3 organization) whose mission is to increase the number of successful black entrepreneurs in technology. The organization was founded to empower underrepresented entrepreneurs and provide them with access to advice, mentorship, and funding. For more information, visit www.blackfounders.com. The Blackstone Charitable Foundation was founded at the time of Blackstone’s IPO in 2007 with substantial commitments from the Firm’s employees. Influenced by the enterprising heritage of the firm and its founders, The Blackstone Charitable Foundation is directing its resources and applying the intellectual capital of the firm to foster entrepreneurship in areas nationwide and globally. Through its investment expertise across several asset classes and geographies, Blackstone has a unique perspective on the global economy and a heightened understanding of how entrepreneurial activity is often the crucial catalyst in the growth of successful businesses, industries and communities. For more information, seehttp://www.blackstone.com/foundation. It is with extreme pleasure that we announce that Black Founders is now officially a nonprofit organization with tax-exempt status under Section 501(c)(3) of the United States Internal Revenue Code. Obtaining 501(c)3 status is a major milestone for our organization. This new status means that we will now be able to access financial resources that will allow us to grow and deliver more programs to underrepresented entrepreneurs. Black Founders has been largely financed through events, sponsorships, and sweat…lots and lots of sweat. We have a few key programs that we have wanted to scale but have not had the resources that they require. Repositioning some of these programs under our new 501(c)3 will allow us to have greater reach and impact on our entrepreneur community. Black Founders has always been inspired by smart people building great things and lately, we’ve found inspiration in Ryan Hoover and the team at Product Hunt. Their commitment to building in public has allowed their startup to get rapid feedback and create a community of users that feel invested in the direction of their product. We believe that building in public can also be applied to program design. As we continue to build Black Founders, we are committed to transparency and feedback. As we move into this next stage, we want to make it easier for our friends and supporters to remain involved. We’ll be using the hashtag #BFBuildInPublic as a call for support and feedback on future programs and events. Look out for the hashtag as we announce new ways for you to get involved. If you have a suggestion for us, please use the hashtag. We’ll be listening. Thank you all for your continued support. We look forward to working together as we continue our mission — to increase the number of black entrepreneurs in tech.